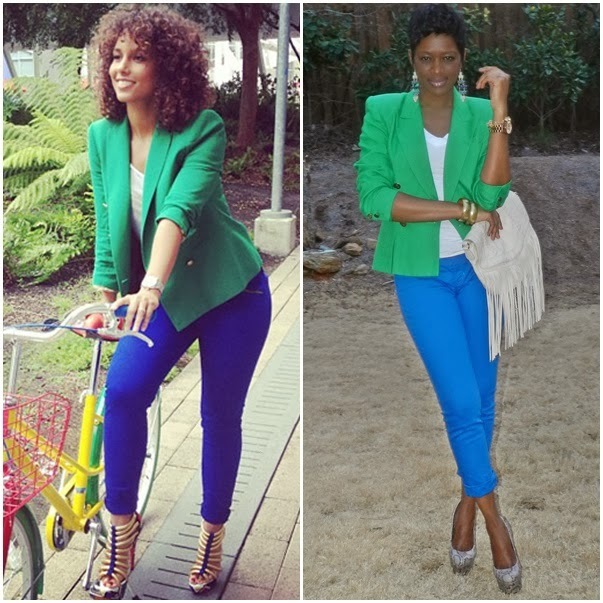 My look was inspired from Alicia Keys Instagram post a few years ago. I loved everything about her colorblock outfit, especially the green blazer. I made it my goal to find thrifted pieces to re-create her look. How did I do? Where do you find your style inspiration? Spot on! You look great and the colors suit you well. The blazer fits like a dream. You nailed it and look Great in your green blazer.